Make Britain fur free! #FurFreeBritain! Join us in calling for a #FurFreeBritain! The government ordered the last UK fur farm to close its doors back in 2003, but we're now importing fur cruelty from overseas. The unnecessary suffering of animals for fur fashion is deplorable, whether the animal involved is a cat, a dog or a seal, whose fur is already banned from UK trade by EU regulations, or a coyote, a fox or a raccoon dog, whose fur is currently still allowed. Opinion polls show continually high levels of public disapproval of fur, regardless of species – more than 80% believe that it's unacceptable to buy and sell animal fur in this country. Let's close our borders to the cruel, unnecessary, outdated fur trade, and lead the way as the world's first fur-free nation! Please sign our petition calling on government not only to retain a UK import ban on cat, dog and seal fur, but also to establish a sales ban to cover the pelts of all animals killed for their fur. I am completely opposed to the immense suffering caused to more than 100 million animals each year in the international fur trade. I support Humane Society International's campaign to ban fur sales in the UK and create a #FurFreeBritain. Inflicting cruelty on animals for frivolous fashion is deplorable. We should close our borders to this cruel trade, reflecting the view of more than 80% of Brits who believe that it's unacceptable to buy and sell animal fur in this country. More and more countries are following the UK's lead and banning fur farming: banning fur sales would once again show the UK as a world leader on animal protection. Please commit, not only to retain a UK import ban on cat, dog and seal fur, but also to establish a sales ban to cover the pelts of all animals killed for their fur. Along with Brian May, we delivered this petition to the Prime Minister. There is now going to be a Parliamentary debate, so we need your MP to attend to speak up for the animals. Please email them now by signing this petition! Important! 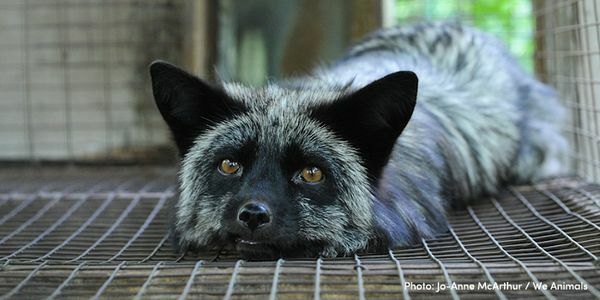 If you live in the UK: please now sign this petition to ban the sale of fur in the UK. We need to hit 100K on the Government's petition website too!